Disney has posted the second episode o "Star Wars: Forces of Destiny." 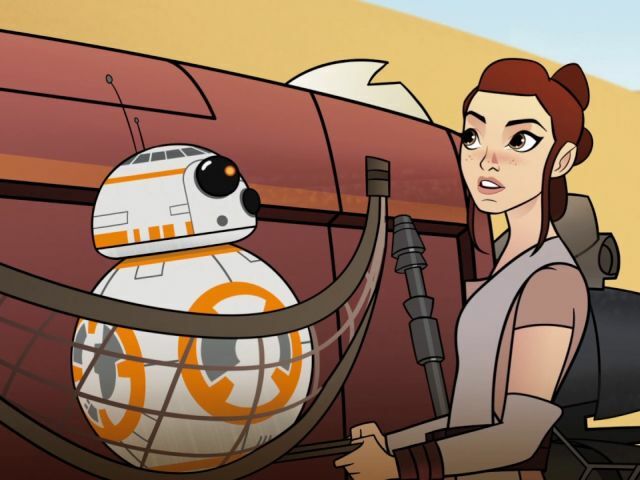 "BB-8 Bandits" has Rey (voiced by Daisy Ridley) and BB-8 taking off on a speeder to flee scavenger thugs who want to steal the droid. Lupita Nyong'o reprises her role as Maz Kanata to introduce the short. Check out episode 2 after the jump.